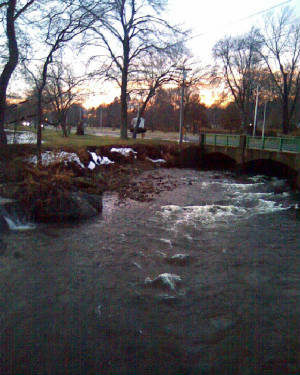 The old Grist Mill Area & Downs St. Standing in the downtown area of Bristol along the Pequabuck one would never know that one time, this river once boasted many mills, all different kinds. Here in this story will be looking at its most famous, and the area it surrounds. If you were to think historic places in Bristol Connecticut, one of the first things that would come to mind is Bristol’s famous street Memorial Boulevard. This street was set aside for the sole purpose of remembering our veterans and our past. This idea started back in 1919 after “The Great War” Albert F Rockwell donated 12 acres of his land north of South Street for the purpose of building a new school, and a street dedicated to the memory of Bristol veterans. On November 11, 1921 this was completed and The Memorial Boulevard was open for travel. Today the Boulevard still uses the school as a Middle School, but along with the school this street now contains Monuments for just about every American war. Also included on this street is a German Howitzer Cannon 105mm captured by American forces during WWI, a Spanish American war Hiker Statue, and two tribute walkways for both the Revolutionary and Civil Wars. Today in modern times, the Boulevard is the site where Bristol’s Memorial Day and Veterans Day parades take place. 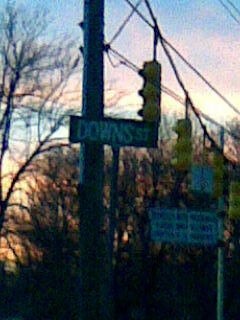 At the east end of the Memorial Boulevard is the Intersection of Downs Street. It was here in this intersection that once held one of Bristol’s most important possessions, the old grist mill. The history of the old grist mill goes all the way back to Bristol's beginning when settlers first started to arrive. The construction of this mill started when Ebenezer Barnes sold four acres near his dwelling house to Joseph Plum. Starting construction on the mill, Joseph finished its timberwork, purchased its accessory’s like pulleys, millstones, and he almost had it finished before he died suddenly in 1742. It was said that the mill was finally finished by Hezekiah Rew, new husband to Joseph’s widow. The main purpose for the grist mill was to grind grain into flour, and cornmeal for food. This was vital for the survival of all the nearby settlers. It also served as a meeting place for locals to get together and discuss news and issues of the day. The mill lasted a total of 179 years until it was taken down in 1921 with the Memorial Boulevard remodeling .At this point in time, I don’t think anyone saw a need for a gristmill anymore. A monument was put in its place as a reminder of where it once stood. Downs street in Bristol has a hidden story, not as easily told as Memorial Boulevard or the old mill. It location like many of the other streets in this area make it one of Bristol’s oldest streets. It was given its name Downs after one of the grist mill’s most famous owners, Ephraim Downs. Ephraim was one of Bristol's famous clock makers. His clock factory was located on other side of Downs street adjacent to mill. In the 1830 his shop was said to have produced an average of seven thousand wood-movement clocks a year, most of which were the thirty-hour looking glass kind priced at $9.00 each, very expensive at the time. In 1839 his price on these clocks had to come down to remain competive. In 1850 his son Franklin Downs took over the business of both the mill and the clock shop, Ephraim died in 1860. Five years after Ephraim death in 1865 the old clock shop was destroyed by fire. Going up the hill on Downs Street toward South Street on the left hand side is where you can find the spooky spot to this area, a place known as Bridge Street Cemetery. In colonel times it was call Old North Street cemetery, with the New North cemetery being relocated on Lewis Street, and in modern times it is sometimes referred to as Downs Street cemetery. Whatever you call it, what is not in dispute is it is Bristol Oldest cemetery. While the Memorial Boulevard gives tribute to Bristol’s Past, this cemetery is Bristol’s Past. 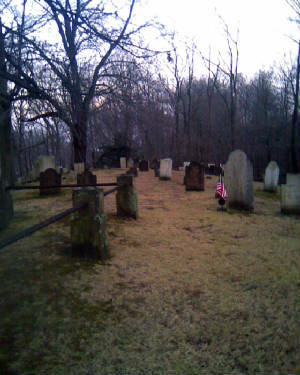 Its grounds housing the resting place of many of Bristol’s first settlers, along with a lot of their sons and daughters. 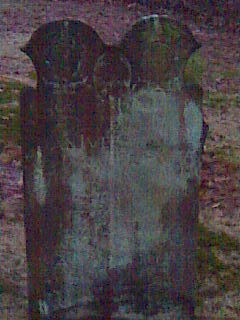 One of the Famous People buried here is Rev Samuel Newell (1714-1789) Born of a prominent Farmington family in 1747 he was hired by The Great Awakenings Church as their first (And Bristol First) official minister. Along with certain religious leaders, politicians can be found resting here as well, Politicians like Zebulon Peck (1713-1795), a New Cambridge state representative, and one of the people reasonable for getting New Cambridge incorporated as it’s own separate town along with it’s renaming to Bristol. Another would be Solomon Norton (1776-1818), one of the people who help petition the state legislature in the construction of Bristol’s Turnpike now known as route 6. If you were to rename Down’s Street cemetery to anything else, another more fitting name would probably be Clockmakers cemetery. I say this because of all the types of people here, the most famously known are the Bristol clockmakers. The first person to ever make clocks in Bristol was a man named Gideon Roberts (1749-1813) who started his first shop in 1798. Thomas Barnes Jr. (1743-1825) who started one of Bristol’s first clock stores. Finally of course the Downs, Ephraim (1787-1860) and Franklin (1824-1893) it’s list of clockmakers goes on, and on, but I’m sure you get the drift. A lot of people into clocks. Although I could not find any information on Elnathan Ives, I cannot deny his tombstone could possibly be one of the scariest one’s I’ve ever seen. I would love to find out further information on this person, however I don’t think record keeping of everyone at this time were at its best. So if anyone has any information about the history of this person, please feel free to e-mail me. After review of all investigation evidence, I found yet only one possible EVP and nothing out of the ordinary as far as pictures go. This took place after I asked the question “Does anyone have anything they would like to say” it almost sounds as if a woman whispers the word “NO” there was one other woman on the investigation at the time and she did not speak at this time. Overall, I would say the investigation is now closed. Paranormally I don’t think this place is anything to get over excited about, however its history is forever marked in Bristol’s storybook. Please forgive the appearence it was taken our of a book and this is the best I could clean in up. The Picture Below is a picture I took of the same spot, 108 years later and 87 years after the mill was taken down. This picture below is the location of where the clock factory used to be. 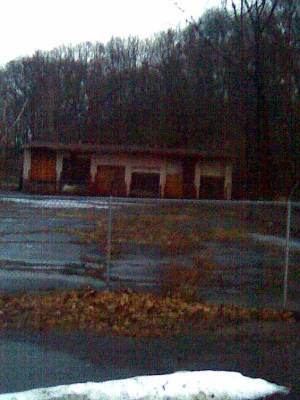 After it burned down, a trucking company was built many years later, To my knowledge, the trucking company went out of busness in the earily 80's.The building is now awaiting destruction.